Happy New Year!!!  Here comes my first blog post in 2018. It is an oven roasted broccoli recipe – another sheet pan creation under 30 minutes I’ve just experimented with. 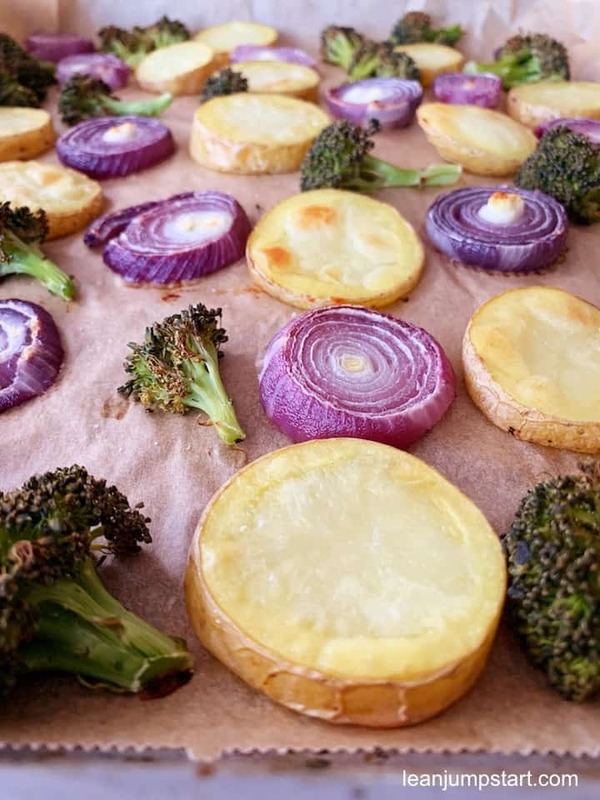 But instead of plain broccoli baked in the oven, I’ve combined it with crunchy potatoes and seducing caramelized sweet red onions. This is the perfect recipe if you want your family to eat more broccoli. Believe me, there are good reasons for serving this cruciferous vegetable more often. Read about the impressive health benefits of broccoli at the end of this blog post. While the dish is cooking, you can clear up space and have a clean kitchen as soon as the food is ready. But first, let’s take a closer look at the often neglected but not less powerful red onions. You know, I get red onions regularly in my vegetable subscription box. So far I really missed an easy clean eating recipe with these red bulbs playing a dominating role. In many respects, red onions offer far more health benefits than yellow or white varieties. They are particularly rich in antioxidants, support the body in cancer prevention (1), promote weight reduction, lower cholesterol levels, help detoxify the body and fight inflammation. Tip: Make sure not to over peel red onions as those outer layers have the most nutrients. I think that with this sheet pan recipe I’ve finally found a fantastic way to eat more nutrient-dense vegetables. When my critical family is raving, then I know for sure that I can publish a recipe blog post and serve the dish again and again. What I love most in this colorful vegetable mix is the sweet and distinctive taste of the red onions. These onions were left from last year and I just wanted to use up all my veggies before I jumpstart my New Year’s grocery shopping tomorrow. Once you bake it, it will be the seducing red onions you’ll smell first, making your mouth water;) They will even overpower the possible unpleasant smell of the broccoli. Dependent on the size of the florets they will need 20 – 25 minutes to roast in the oven. But of course, you want that the potatoes are done at this time too. That’s why I recommend baking either small potato halves or potato slices which are thin enough. On the other hand, broccoli florets shouldn’t be too small. By doing so you make sure that all vegetables are done in the recommended baking time. For me, 25 minutes worked very well. Let’s jump right to the ridiculously simple and yet so flavorful recipe. Heads up: You will need at least two baking sheets. Preheat oven to 360 F/ 180 °C. In a large mixing bowl, toss the broccoli florets, potatoes, red onions, olive oil, oregano, thyme, and Cayenne pepper. Arrange veggies on two sheet pans. Don’t overcrowd the baking sheet, you want to make sure the vegetables fit in a single layer with no overlapping. Using 2 baking trays are a must as overcrowding will cause the veggies to steam rather than roast. In the following, I’ll show you my 3 favorite easy ways how I combine this roasted broccoli and potatoes dish. If you think it won’t be enough you can always serve a juicy salad as a starter. Just bake slices of feta cheese packed in tin foil for the last 10 minutes with the veggies. Tip: Sprinkle some rosemary before wrapping and baking it. Hint: Don’t go overboard with it, if you are watching your weight. This is the easiest combination if you have homemade ketchup at hand and prefer vegan or WFPB dishes. If not check out this simple clean eating ketchup recipe. It’s by the way also my daughter’s favorite combination. If you love avocados, then a guacamole dip will be the perfect companion for you, turning this roasted dish into a culinary delight. Broccoli is the secret star among healthful vegetables. It has a strong alkaline effect on the body and prevents us from losing important minerals when neutralizing too much acid. It also contains important dietary fibers and bitter compounds that stimulate digestion and maintain a healthy intestine. 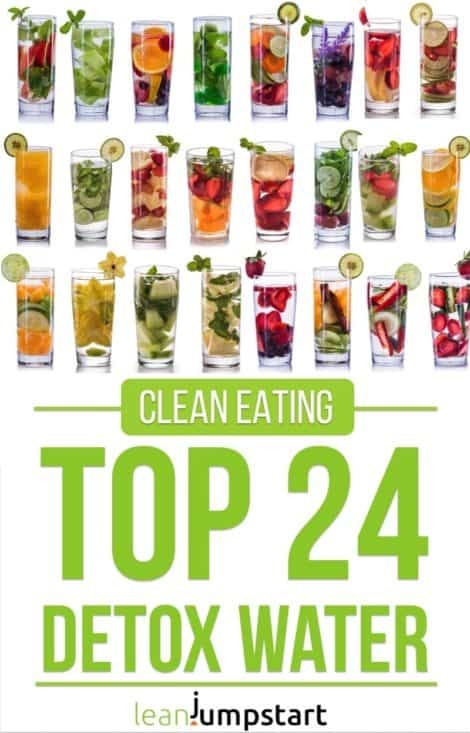 In addition, it is rich in nutrients in proportion to its calories. Sulforaphane is another active substance in broccoli. It can have a protective effect on the prostate, intestine, and pancreas and acts both preventively and curatively against diseases. Tip: If you want to maximize broccoli’s benefits, try to include more of the potent broccoli sprouts into your diet. Sometimes I believe that the whole secret of mindful eating lies in small non-recipes such as this one. 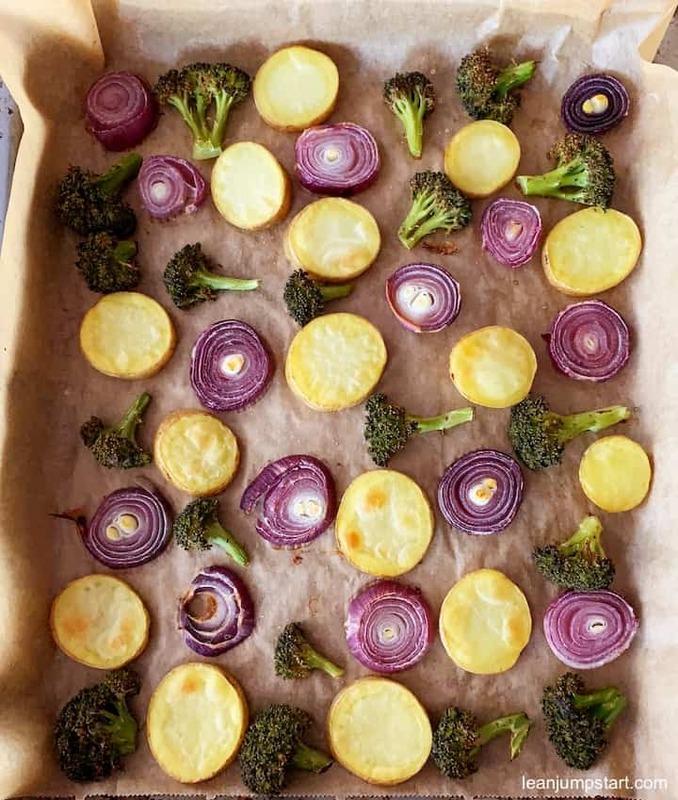 Roasting vegetables on a sheet pan make it possible for us to eat wholesome and good food on days when we are completely stressed out and not in the real cooking mood. Love the colors & love the flavors! 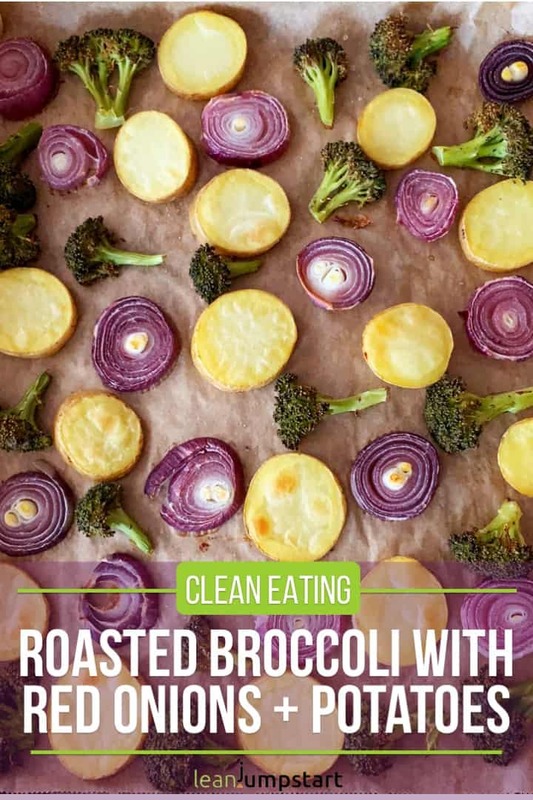 Roasting vegetables is the best way to cook them in my opinion and I love roasted broccoli, with lots of garlic. Thank you Sherri. Yes, with caramelized red onions as companion I can “sell” any other vegetable to my family. With the colder season turning on the oven for a sheet pan meal is a real pleasure. You can never have too many sheet pan recipes — and red onions are one of my favorite roasted veggies, because they get so sweet and charred at the same time! That’s true Lisa. We just forget about red onions too often, but they are amazing! Oven roasted veggies are a delicious side dish to any meat! I had no idea that red onions have more health benefits than the other varieties. Thanks for the info! You are very welcome Julia. Both types of onions are powerful superfoods with antioxidant, antibacterial, antiviral and anti-carcinogenic properties. Although white onions contain a higher amount of sulfur and more grams of fiber, red onions have been found to contain a higher amount of many other beneficial nutrients. Especially regarding antioxidant properties, cancer fighting and blood thinning they beat white onions.